Low-cost carrier SpiceJet Tuesday announced that it would add five 90-seater Bombardier Q400s taking its regional jet fleet size to 32. Low-cost carrier SpiceJet Tuesday announced that it would add five 90-seater Bombardier Q400s taking its regional jet fleet size to 32. 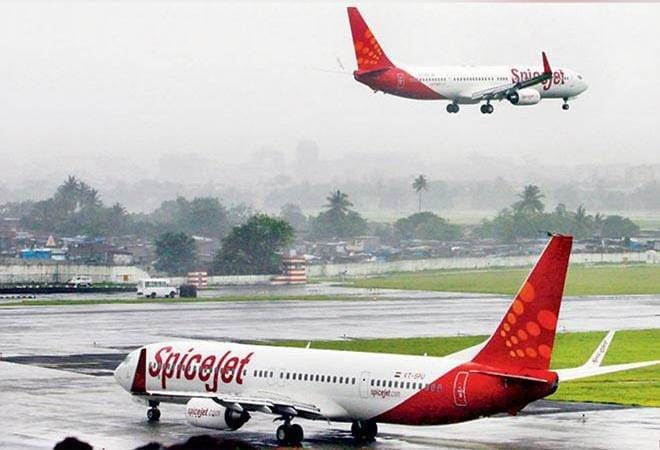 The budget carrier said that three of these planes would join its fleet in the next 10 days and the remaining two would be inducted by June, SpiceJet said in a statement. With this move, the airline is aiming at augmenting its capacity in the domestic markets, especially on regional routes, following the crisis at Jet Airways, which has triggered a huge surge in airfares in addition to a mismatch in demand and supply amid peak travel season. SpiceJet last week announced the induction of 16 Boeing 737-800 NG aircraft on dry lease. He further stated that the sudden reduction of aviation capacity should in no way hamper air connectivity to the smaller towns and cities of India and as the country's largest regional operator, SpiceJet will make all efforts in this direction. The 90-seater variant is part of SpiceJet's second purchase order for up to 50 Q400 turboprops placed in September 2017 worth $1.7 billion. Spicejet has already inducted five planes as part of this order. It also operates a 78-seater variant of the same aircraft.